then click the button below to see how I can help you. 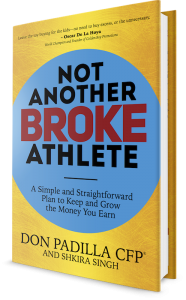 Not Another Broke Athlete will teach you strategies that can help transform your financial gain into a future of prosperity so you can live a life of growth and expansion. Order Your Copy Today! Click Any Of The Links Below To Reserve Your Copy!